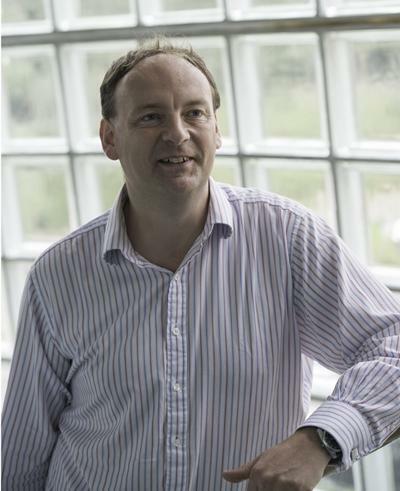 Professor Martin Solan is Professor in Marine Ecology within Ocean and Earth Science, National Oceanography Centre Southampton at the University of Southampton. I am a marine benthic ecologist with broad interests in understanding biodiversity-environment interactions and the ecosystem consequences of altered diversity and environmental change. I champion strategic and applied interdisciplinary research in benthic habitats, from coastal to full ocean depth and across environmental gradients. A key component of my research has been the development of in situ marine technology (in particular, sediment profile imaging) for the observation of organism-sediment relations. I use time-lapse sediment profile imaging to relate changes in invertebrate behaviour to environmental conditions and model faunal mediated particle movement and porewater biogeochemistry at the temporal (min) and spatial (μm) scales at which these processes occur. These techniques have been instrumental in understanding the functional contribution of past and present benthic communities and led me to the use of manipulative laboratory and field experiments to understand the ecological consequences of species loss. A primary area of my research is the development of generic concepts of marine biodiversity-ecosystem functioning within the context of environmental change and anthropogenic forcing, and in the understanding of the interactive effects of multiple environmental drivers. The latter relies on the development and application of novel statistical and modelling approaches, many adapted from other disciplines, and an interdisciplinary focus that recognises the tight coupling between natural and human systems. Presently, my main focus is to maximise the benefits of coupling powerful experimentation with theory and observations of natural systems by combining in situ observations in the field with appropriate laboratory experiments in the Biodiversity and Ecosystem Futures Facility, recently built within NOC. By distinguishing the effects of single versus multiple and simultaneously occurring drivers of change (temperature, atmospheric CO2, ocean acidification, sea-level rise, altered biodiversity), this work will minimise the disconnect that exists between the representation of natural systems in experiments and the environmental context that will be imposed by multiple stressors in the future. Already, this work has shown that complex interactions occur between these variables, and that uncertainty imposed by changes in habitat configuration, resource heterogeneity and/or warming-CO2 regimes reduces our capacity to predict and mitigate the effects of immediate large-scale environmental issues. As such, a growing area of investigation is how adaptive sustainable management strategies can be applied to secure the ecosystem services that marine environments provide to humanity. I am applying these concepts to contemporary issues in marine coastal and offshore shelf zones. Biodiversity, ecosystem function, bioturbation, benthic ecology, sediment dynamics, sediment profile imaging. April, 2013: NERC Consortium grant entitled ‘Biogeochemistry, macronutrient and carbon cycling in the benthic layer (BMCC)’. 42 months, Solan et al. (8 institutions), £2.4 million. University of Southampton share £551,077. March, 2013: NERC UK Ocean Acidification research programme Added Value Activities, scheme B. Scaling empirically derived ocean acidification responses to naturally assembled systems Rastrick et al. (6 institutions). University of Southampton leading (Rastrick, Hauton & Solan), £90,846. March, 2013: NERC UK Ocean Acidification research programme Added Value Activities, scheme C. A legacy for experimental-model synthesis – maximising the benefit from UKOA. Blackford et al. (4 institutions), £62,234. Lead Author for the IPBES Regional assessment of biodiversity and ecosystem services and functions for Europe and Central Asia (deliverable 2b). Census of Marine Life Scientific Advisory Committee member. 2011 – Primary Chair and organiser for the World Conference on Marine Biodiversity. Solan, M., Aspden, R. J., & Paterson, D. M. (Eds.) (2012). Marine Biodiversity and Ecosystem Functioning: Frameworks, methodologies, and integration. Oxford University Press. Solan, M., & Whiteley, N. M. (2016). Preface. In M. Solan, & N. M. Whiteley (Eds. ), Stressors in the Marine Environment Physiological and ecological responses; societal implications (pp. V-VI). New York: Oxford University Press. Solan, M., Godbold, J., Thompson, C., Ruhl, H., Mayor, D., & Cripps, G. (2017). Biogeochemistry, macronutrient and carbon cycling in the benthic layer, NERC. (7 ed.) UK: Science Impact.